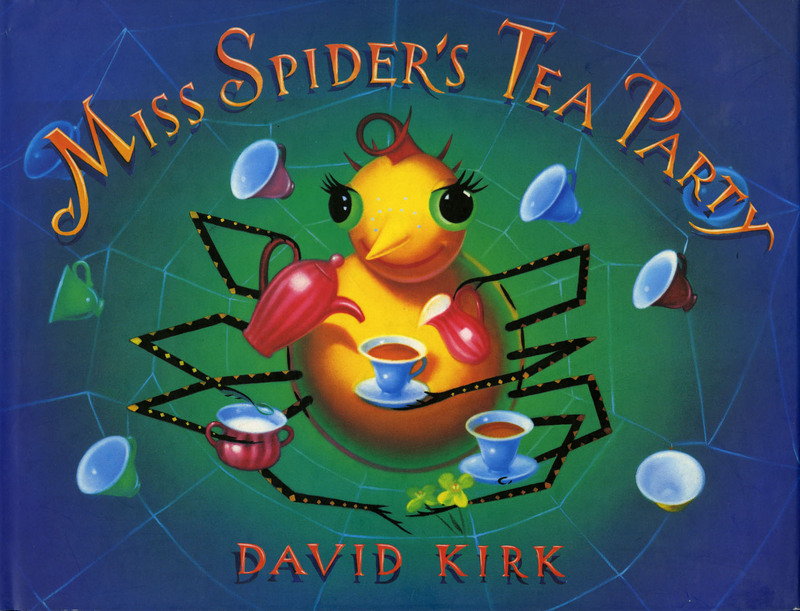 Though it is never explicitly stated, Miss Spider is a vegetarian spider. We bought this book because my wife loves tea, but we were pleased to discover the strong vegetarian message. Written as a cute poem, the lyrical text holds the interest of even the youngest readers (my daughter received this a Halloween present when she was just one year old). The pictures are just beautiful (the colorful bugs, Miss Spider’s big sad eyes, the beautiful tea service). There is a counting element (one spider, two lady bugs) incorporated so well into the text that it almost goes unnoticed. It just adds another layer to this charming book. My daughter (now two) loves this book and so do I. It’s a joy to read and a joy to look at. I strongly recommend this book. Jennifer, we checked this out at our library on your recommendation and loved it. Thank you so much! This has been a favorite of ours since our eldest (now 11) was a babe. In fact, I would recite it by heart when he would get fussy while we were in a car and I wasn’t able to nurse him and he would calm right down. It was his first favorite book before he was even one.